See more objects with the tag instruction, decoration, women's fashion accessories, feathers, ostrich, delicate, color choice, fluid lines, dyers, home business, technique. See more objects with the color grey darkslategrey dimgrey rosybrown or see all the colors for this object. This is a Book Illustration. It was published by Mrs. Dr. M. Frank. 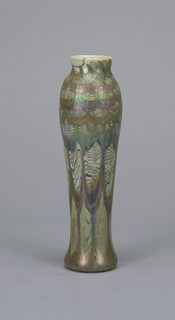 It is dated 1888. Its medium is dyed feather samples. It is a part of the Smithsonian Libraries department. During the last quarter of the 19th century, feather decoration for hats, fans, and boas was at its peak; in 1886, 77% of women’s hats were decorated with feathers and a milliner’s window had a display of colorful ostrich tips and plumes. They were used not only on hats, but were used in trimming dresses, wraps, and to a large extent used in making exotic fans. 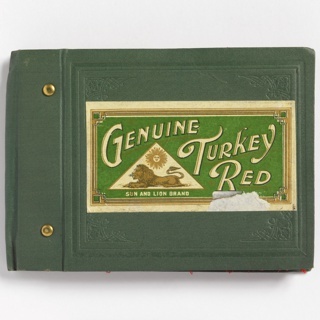 Ostrich farming and ostrich feathers was a lucrative business; the authors of this treatise tell how you could start a business in your own kitchen; the equipment needed, instructions for the dyeing process and formulas for producing different colors. 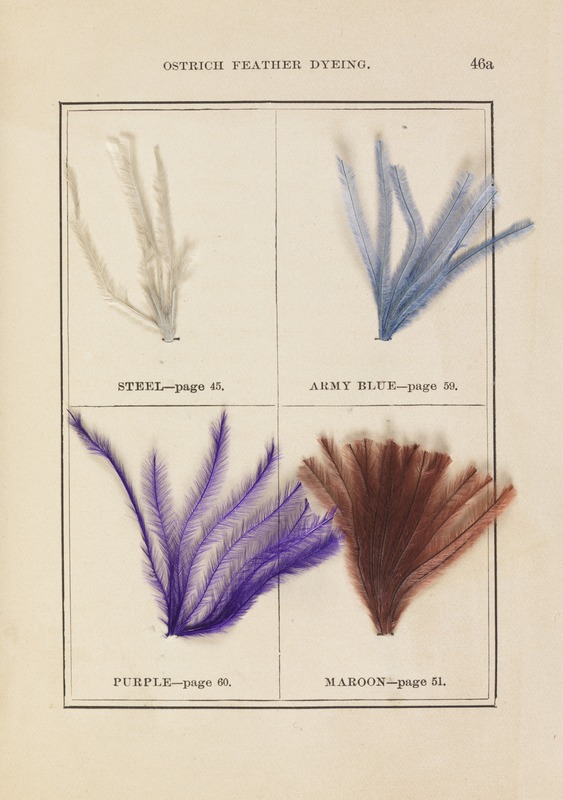 The author states “the greatest disadvantage manufacturers have had to contend with was a lack of knowledge of coloring…" The important feature of this book is that it contains actual dyed feathers, mounted on plates, as color samples. 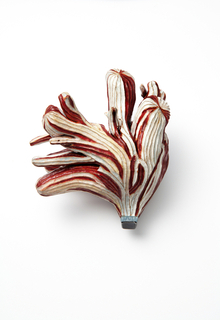 thuja wood, paint, silver, reconstructed opal.